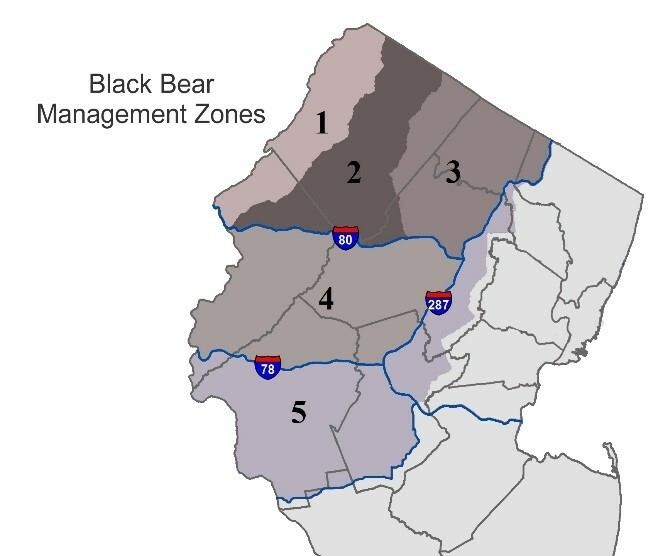 (16/P95) TRENTON – The fall hunting season for black bears – part of a comprehensive policy to keep bear populations sustainable and enhance public safety – will take place next Monday through Saturday in northwest and west-central New Jersey. Based upon the recommendation of the New Jersey Fish and Game Council, the Department of Environmental Protection last year formally adopted an updated Comprehensive Black Bear Management Policy that included a continuation of the annual December hunting season, in effect since 2010, with areas added where bears have been expanding. The updated policy also established an October hunting season for archery and muzzleloaders beginning this year.